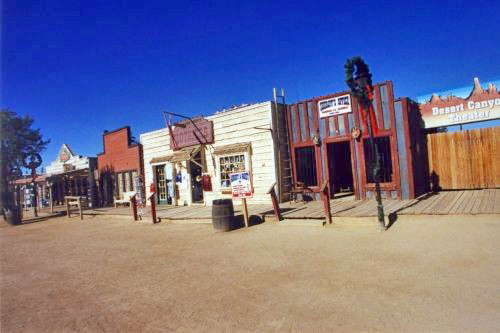 Rawhide Wild West Town is an 1880's old west theme facility located in Scottsdale, Arizona. 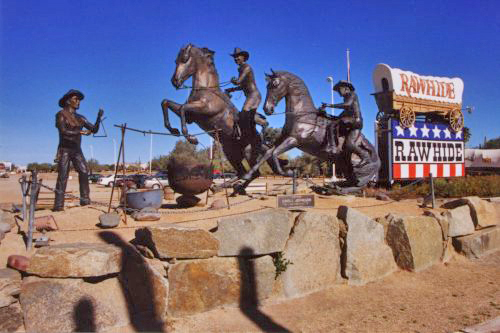 Built in 1971, and sitting on 160 acres of Sonoran Desert, Rawhide offers dining, shopping, shows, group venues, rides, games and attractions including a miniature train ride. 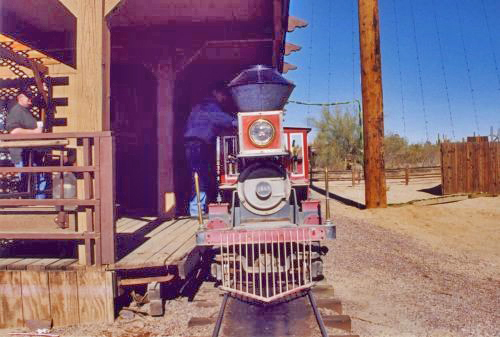 The 24" gauge C.P. 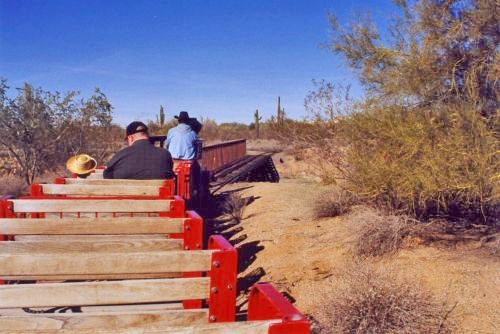 Huntington train was installed at Rawhide approximately 14 years ago. 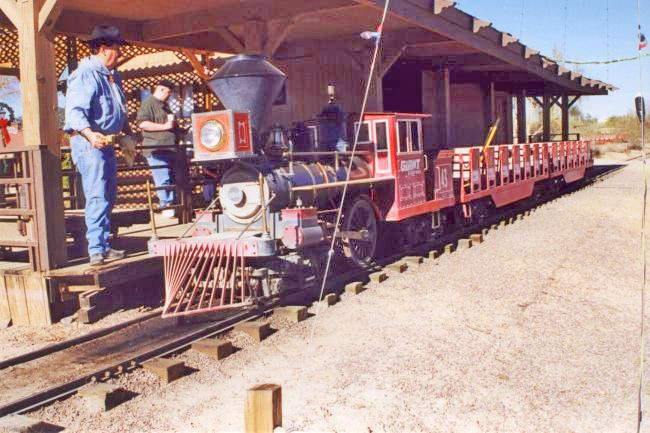 The engine (Number 43) typically pulls a consist of four passenger cars. The cars load from the right hand side, and have had their canopies removed. Two additional cars are available if needed. 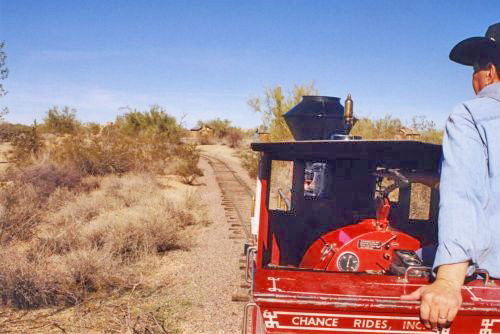 The engine is adorned in a red and black paint scheme. 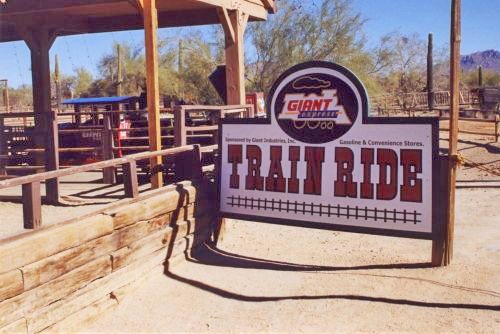 The ride is called the "Giant Express" for Giant Industries Inc., a majority partner in the Rawhide ownership group since 1998. 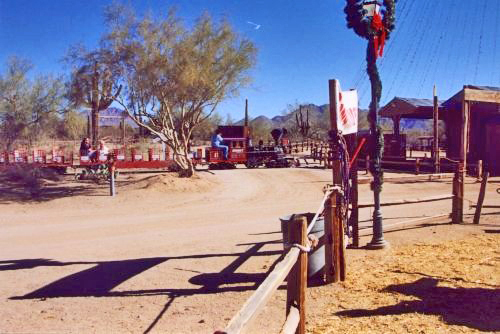 The train ride's loading platform is located on the eastern most end of town. 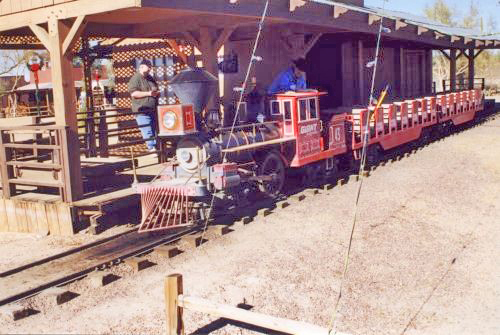 The ~5 minute ride covers a little under a half mile of track that travels in a single loop east of town. 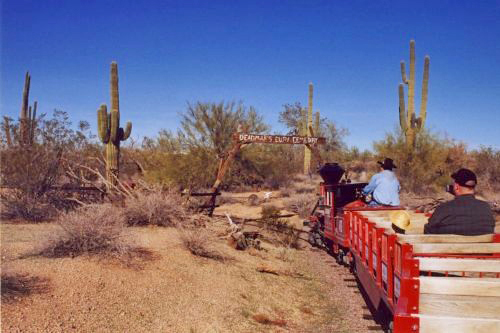 Traveling away from town results in the train's passengers getting an excellent view of the Sonoran Desert beauty, but makes photographing the train very difficult since pedestrians are not allowed east of the loading platform. 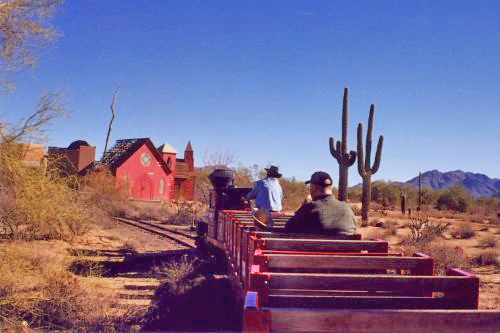 In addition to the beauty of the Sonoran Desert, the train ride offers passengers two trestles, some old buildings, cowboy and prospector figures, several graves and a tunnel. 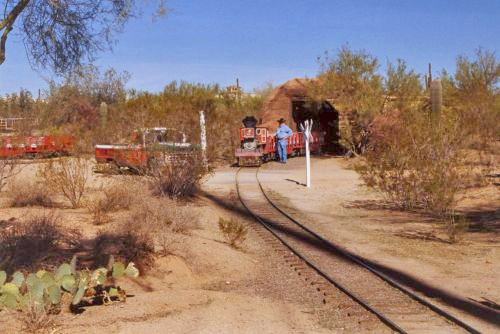 The tunnel is used to store the train, and contains a spur line with the two extra passenger cars. 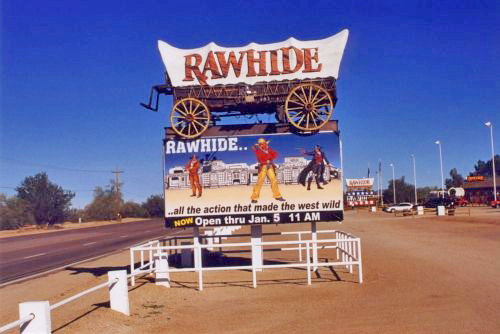 For ticket prices, days and hours of operation visit the Rawhide website.